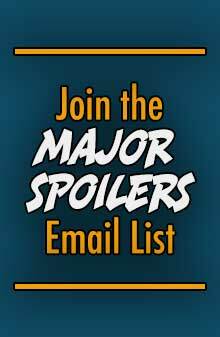 Are you part of the complete Major Spoilers Experience? 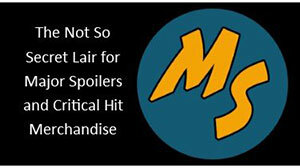 There are some interesting things afoot in the land of comics and parent companies today (UPDATE: It’s official now), and it could potentially be much bigger than the Marvel/Disney deal talked about last week.Â I’ve been Twittering about it this morning, but it occurred to me that there are many who may not be taking part of the full Major Spoilers Experience. And then there are the misc. Deviant Art, personal websites, and the like that are floating around in the outer orbits. So what part to do you follow, and what parts are you missing?Â I ask only because there is a fair amount of effort being put into all of these endeavors, and we’d hate to waste anyone’s time. I definitely follow the MS web site. This is my primary source for comic book and related information on the web. I am not listening to the Critical Hit casts because I don’t have the time to listen to both them and the MS podcasts and I consider the latter more relevant to me. It just isn’t all that exciting to me to listen to other ppl play D&D when I could be playing it myself. But they seem to be enjoyed a lot by others. I always read the MS Adventures. It is a quick, refreshing break from everything else. I do not use any sort of social networking (well, unless you count my attempts on the MS forum). So MySpace and Twitter mean nothing to me. But that’s just me. I always really appreciate all of the effort you guys put into everything. The main site and forum are my rock of life. The main site and forums are where I am most active. I do download the podcast, but sometimes can’t listen to them until it is time to download the next one and have to have little mini-marathons. I have to catchup on MS Adventures when I am at home, and my computer is working, which is it not right now. I follow the website and podcasts pretty regularly. I am a “MySpace Friend,” but honestly don’t check it very often. I’m a member of the forums, but don’t visit very often. I read each issue of MS Adventures when they come out. But I refuse to use Twitter. Of course, I said that about MySpace and Facebook about 3 months ago, and now I’m on Facebook multiple times a day (Also a hint…). I follow the MS website & podcast. Probably check out the site 5 or 6 times a day and that’s a slow day. LOL. I do troll the forums but have not registered or posted. Guess i am a bit antisocial. I really should do something about that. I don’t really use myspace or twitter for myself but I have checked out peoples twitter feeds like scott johnson’s since it’s handy on the front page of the ELR site. I am not a big Myspace or Twitter user, but everything else I am checking frequently. I am at the site and forums probably 5 or 6 times a day. Depending on how little I want to work. Yes, Matt. Join the forums and post something before I take it over like Agent Smith did The Matrix. I visit the site regularly and check it in Google Reader as well. I follow you on twitter but I haven’t checked MySpace in a long time. I primarily use facebook. The Major Spoilers Adventures are always great. The podcast is the only one I listen to regularly. My forums account is still waiting for approval. Love the site and the podcast. Keep up the good work. I’m pretty active on the site, and I listen to both podcasts, and I read the MS adventures. Not so much on myspace or twitter, and I don’t have the time or the temperament for the forums. Obviously I love the podcasts and the site. I try to go to the forums where I see something I can chime in on since a lot of the times stuff I’d like to talk about no one else really cares about, but that’s not exclusive to the MS forums, I guess I just like things no one else does. Honestly, don’t listen to Critical Hit since I have no interest in D&D. Friends on myspace, still working my way to twitter. Overall, love the MS experience as a whole. Oh I do most of it all. I follow the twitter, listen to the ‘cast, and try to stay active in the forums. I do not however work in the Myspace area of things due to the fact that it’s not 2003 (Get a Facebook guys-that’s where all cool kids hang out after they left Myspace ghetto). I even listen to Critical Ht even though I’ll probably never play D&D. But you guys probably knew all this. So stay awesome. I probably check in on the website 2 or 3 times a day. My 10-years-ago pre-family man self probably would have been on the forums quite a bit, but I don’t have time for it now. I started listening to the D&D podcasts to learn a bit about 4th edition, stayed because I found Matthew’s portrayal of a dumb guy hilarious, but eventually had to give it up as too time consuming. Glad you guys seem to be having fun, though! 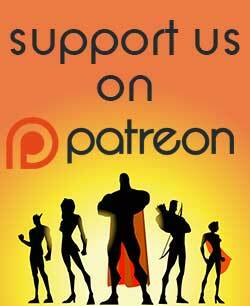 I check the site regularly, listen to both the podcasts and read the forums (though I only post there irregularly). I am aware of the myspace site but I’m not really active there. I don’t follow the/any Twitter.